TinyTink and Nasubionna like this. They're definitely scrappers, the original poster was from China and admitted to them coming direct from the factory there. Not PP's and not distributed officially. raikipins, watzshakinbacon and a4matte like this. 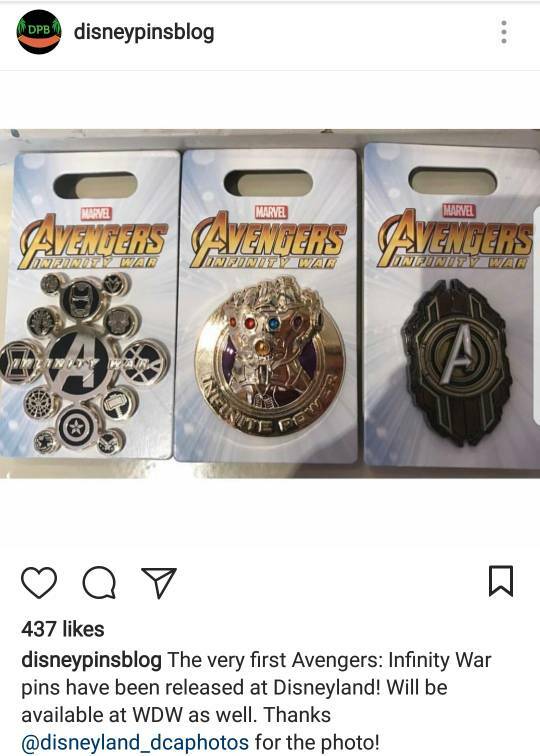 Have these(And the Thanos) hit the parks yet? ^ Don't remember about the gauntlet but saw the other two at dl last weekend! Thanks, just had a message from my eldest pleading for info! Might try to get them for him as a surprise. Yup, they're around I think. Quick question for MOG regulars - what is the likelihood based on past turn outs that the character clusters will sell out in store tomorrow? I have a friend in Orlando who’s able to get me one if they make it online, so just want to be aware of what to expect! Thank you! I think only one set has been sold through MOG (the first set was released through a D23 event in WDW). That being said, I think the last set did sell out at MOG. It seems that Arisocats will def be the most popular one of this set, but not sure how the demand is for the rest of them..
DitzyDreamer, watzshakinbacon and DisneyJ like this. Hey! 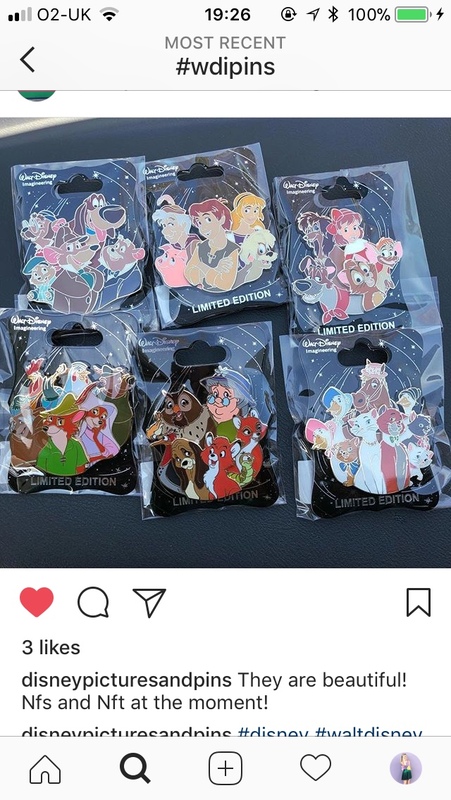 What happened to the official Disney pin site where the flyers come out? My bookmark goes to the disney store, and they only show pins already available for sale. Has Disney given up on the site? The new clusters are out and they’re super pretty! Papaya, Jack Skellington and MerlinEmrys like this. It appears the web site is being worked on and perhaps Disney just linked it to another web page in the interim. We can hope! Thanks for the link to Another Disney Website gone. Half the people think it'll be back up, and half think it's gone forever. At least I'm not alone in missing it! Finding it gone was a blow, as many great things surrounding pins have disappeared in recent times. I guess I can only hope. 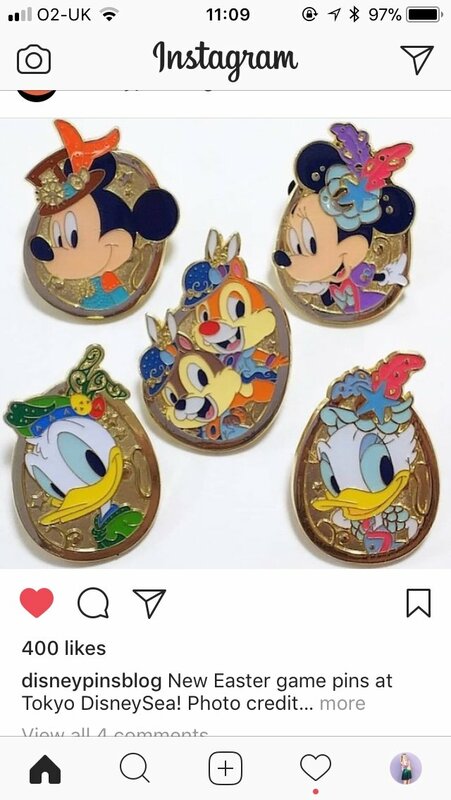 Some new Easter pins from Tokyo! They’re so cute! Do we know if the Clusters sold out yesterday? I heard it wasn’t *too* busy there so there’s a chance there may still be some left! All were still available in store as of this morning.